Cuthbert, J.R. :“Aggregation of price relativities to basic heading level: review and comparison”: invited paper, proceedings of International Statistical Institute 51st Session, Istanbul (1997). Cuthbert, J.R., Cuthbert, M: “A critique of GERS: Government expenditure and revenue in Scotland”: Fraser of Allander Institute Quarterly Economic Commentary, vol 24, no.1 (1998). Cuthbert, J.R., "The Implications of the Barnett Formula": Saltire Paper no.1, (1998). Cuthbert, M., Cuthbert, J.R.: "Income Tax and the Funding of the Scottish Parliament": Saltire Paper no.1, (1998). Cuthbert, J.R.: “Categorisation of additive purchasing power parities”: Review of Income and Wealth, series 45, no.2, (1999). Cuthbert, J.R., Cuthbert, M: “Monitoring the financial aspects of the devolution settlement: issues and data requirements”: Fraser of Allander Institute Quarterly Economic Commentary, vol 24, no.4, (1999). Cuthbert, J.R.: “Theoretical and practical issues in purchasing power parities, illustrated with reference to the 1993 Organisation for Economic Co-operation and Development data”: Journal of Royal Statistical Society, Series A, 163, (2000). Cuthbert, J.R., Cuthbert, M: “A tax whose time has passed”: in “Scotland’s Enterprise Deficit”, Policy Institute, Edinburgh, (2000). Cuthbert, M.: “Developing a Knowledge Economy in Scotland: Lessons from the Operation of the LINK Programme”: Fraser of Allander Institute Quarterly Economic Commentary, (2001). Cuthbert, J.R., Cuthbert, M.: “The Barnett squeeze in spending review 2000”: Fraser of Allander Institute Quarterly Economic Commentary, Vol 26, No2: (May, 2001). See also accompanying tables. Cuthbert, J.R: “The effect of relative population growth on the Barnett squeeze”: Fraser of Allander Institute Quarterly Economic Commentary, Vol 26, No2: (May, 2001). See also accompanying charts. Cuthbert, J.R., Cuthbert, M.: “Higher education numbers and funding in Scotland”: Scottish Affairs no 34, (2001). Cuthbert, J.R., Cuthbert, M: “Hidden Costs of Free Care”: Public Finance, (23 Nov 2001). 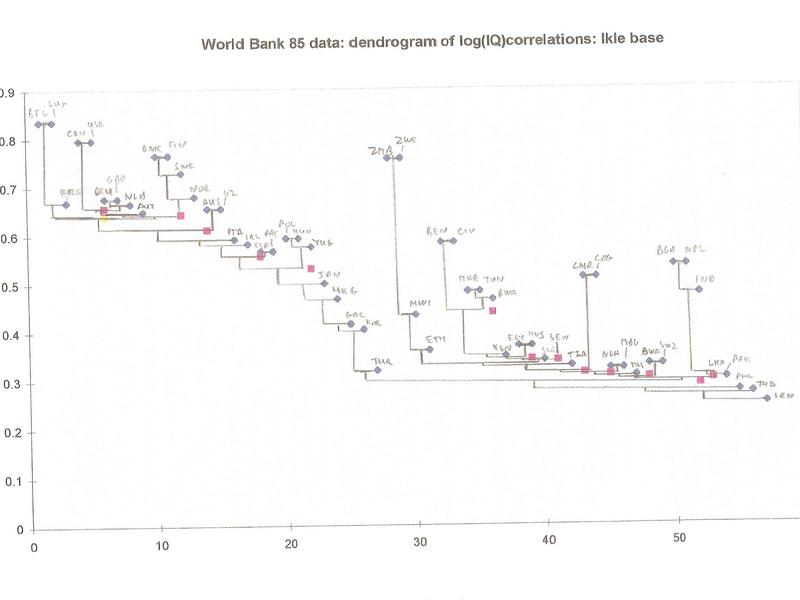 Cuthbert, J.R.: “Using price and quantity indicators to explore data structure”: World Bank/OECD Seminar on Recent Advances in Purchasing Power Parities: Washington, (2001). Cuthbert, J.R., Cuthbert, M.: “Free personal care for the elderly: a critique of costings”: Fraser of Allander Institute Quarterly Economic Commentary, Vol 27, No1: (March, 2002). Cuthbert, J.R., Cuthbert, M.: “A Risk Too Far”: (alternative to PFI): Scottish Left Review, Issue 9: (March/April 2002). Cuthbert, M., Cuthbert, J.R: “The Treasury funding statements as a tool in monitoring the devolution settlement”: Fraser of Allander Institute Quarterly Economic Commentary, Vol 27, No4: (December, 2002). Cuthbert, J.R., Cuthbert, M.: “Can fiscal autonomy improve a devolved Scotland’s economic performance”: Scottish Affairs, no 41, (2002). 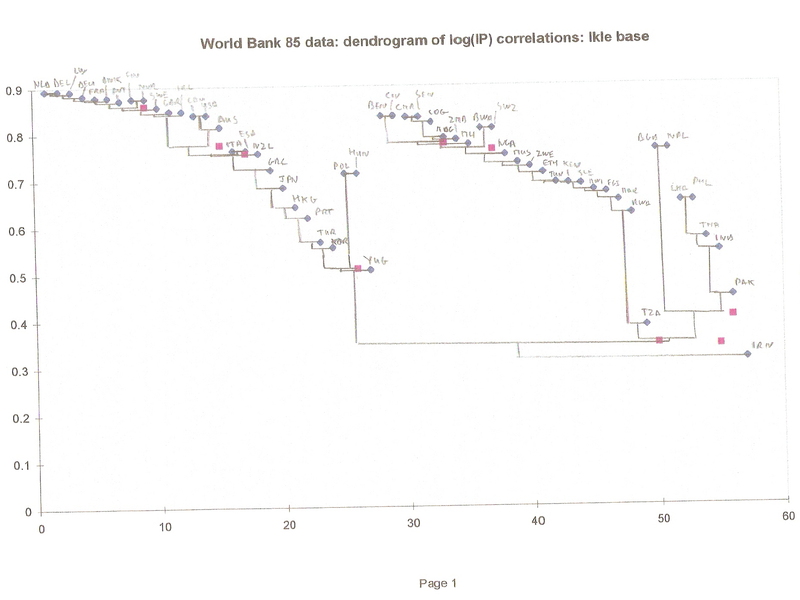 Cuthbert, J.R.: “On the variance/covariance structure of the Log Fisher Index and implications for aggregation techniques”; Review of Income and Wealth, series 49, no. 1, (March 2003). Cuthbert, J.R., Cuthbert, M: “ The Fifth European Framework programme: a comparison of Scotland and Ireland Involvement”: Fraser of Allander Institute Quarterly Economic Commentary, Vol28, No 2: (June, 2003). See also accompanying chart. Cuthbert, M., Cuthbert, J.R: “Customs and Excise Regional Trade Statistics: a Note”: Fraser of Allander Institute Quarterly Economic Commentary, Vol 28, No 3: (October, 2003). Cuthbert, J.R.: “The Prospects facing an Independent Scotland in the Euro, while the Rest of UK Stays Out.” Scottish Affairs, No.45, (Autumn 2003). Also see accompanying charts. Cuthbert, M.: “Scotland Devolved and Monetary Union.” Scottish Affairs, No.45, (Autumn 2003). Also see accompanying charts. Cuthbert, J.R., Cuthbert, M: “Monitoring and Measurement Issues posed by Devolution in the United Kingdom”: invited paper given at conference on Measuring Government Performance, organised by the Statistics User Committee, at the Royal Society, London, (November 2003). Cuthbert, J.R., Cuthbert, M: “ Did Flaws in the Application of Resource Accounting and Budgeting distort the Strategic Review of Water Charges in Scotland”: paper submitted to Finance Committee of Scottish Parliament, published in Fraser of Allander Institute Quarterly Economic Commentary, Vol 28, No 4: (December 2003). Cuthbert, J.R., Cuthbert, M.: “Deep Water for the Scottish Executive”: (overcharging for Water in Scotland): Scottish Left Review, Issue 21: (March/April 2004). Cuthbert, J.R., Cuthbert, M.: “Opposing but not Imposing”: (failures in devolution): Scottish Left Review, Issue 24: (September/October 2004). Cuthbert, M., Cuthbert, J.R: “Science and Technology in devolved Scotland: the example of the Scottish Agricultural and Biological Research Institutes”: Fraser of Allander Institute Quarterly Economic Commentary, Vol 29: No 3: (November, 2004). Cuthbert, J.R., Cuthbert, M: “ Free Care for the Elderly”: Fraser of Allander Institute Quarterly Economic Commentary, Vol 29, No.4: (February, 2005). Cuthbert, J.R., Cuthbert, M.: “Atomised Science”: (science policy under devolution): Scottish Left Review, Issue 27: (March/April 2005). Cuthbert, J.R., Cuthbert, M: “ The Wrong Sort of Rebate: the Need to Reform the UK Budget Adjustment”: Fraser of Allander Institute Quarterly Economic Commentary, Vol 30, No.2: (2005). See also accompanying charts. Also published as working paper by Centre for European Policy Studies, on CEPS website. Cuthbert, J.R., Cuthbert, M: “ A Constructive Critique of the Treasury’s Country and Regional Analysis of Public Expenditure”: Fraser of Allander Institute Quarterly Economic Commentary, Vol 30, No.3: (2005). Cuthbert, J.R., Cuthbert, M.: “Illuminating Whitehall’s Disinterest”: (importance of Freedom of Information Act): Scottish Left Review, Issue 31: (November/December 2005). Cuthbert, J.R., Cuthbert, M: “How the Strategic Review of Charges 2002-06 Casts a Long Shadow over Future Water Charges in Scotland”: Fraser of Allander Institute Quarterly Economic Commentary, Vol 30, No.4: (2006). See also accompanying chart. Cuthbert, J.R., Cuthbert, M: “Water: A Suitable Case for Treatment”: Scots Independent, Issue no. 927, May 1, 2006. Cuthbert, M., Cuthbert, J.R: “Incapacitated Scotland”: (effect of incapacity benefit reform): Scottish Left Review, Issue 33: (March/April 2006). Cuthbert, M., Cuthbert, J.R: "The Scottish Enterprise Overspend: Getting to the Roots of the Problem": article in Sunday Herald, 11 June 2006. Cuthbert, J.R.: "Lessons for Scotland from a Secret History": Scottish Left Review, Issue 35: (July/August 2006). Cuthbert, M.: "The Need for Improvements in Public Responsibility and Accountability in Scotland": Scottish Left Review, Issue 35: (July/August 2006). Cuthbert, J.R., Cuthbert, M: "Unsatisfactory All Round": (discussion of West Lothian question): Scots Independent, Issue no.929, July 1, 2006. Cuthbert, J.R., Cuthbert, M.: "Risk and Profit: Unanswered Questions about the Strategic Review of Water Charges 2006-10": Fraser of Allander Institute Quarterly Economic Commentary, Vol 31, No.1: (2006). Cuthbert, J.R.: "How the RCV Method Implies Excessive Returns on Capital Expenditure": response to OFWAT/OFGEM discussion document on "Financing Networks", published on OFGEM website: (August 2006). Cuthbert, J.R., Cuthbert, M.: "Water: The Birth of a Cash Cow. Why water privatisation in Scotland is inevitable unless we rethink the basis of utility pricing. ": talk given at conference on "Neo-liberal Scotland: Rethinking Scotland in a Global Context", at the University of Strathclyde, 20th May 2006. Cuthbert, J.R., Cuthbert, M.: "Comment to Treasury on their response to the Public Expenditure Statistical Analysis user consultation": August 2006. Cuthbert, J.R., Cuthbert, M.: "Some Assorted Problems with Statistical and Economic data, and Their Implications": talk given at Statistics Commission Seminar on "Do we have the data we need to measure the economy in Scotland? ", Royal Society of Edinburgh, September 6th 2006. Cuthbert, J.R., Cuthbert, M.: "Drowning in Self Interest: the Key Battleground in the Coming Struggle to Prevent Water Privatisation": Scottish Left Review, Issue 36: (September/October 2006). Cuthbert, M., Cuthbert, J.R: "What Do the Statistics on Free Personal Care Tell Us": background note underlying press report in the Sunday Herald, 17 December 2006. Cuthbert, J.R., Cuthbert, M.: "A Rejoinder to Midwinter and Simpson: and how their notes raise further concerns about the financing of the water industry in Scotland": Fraser of Allander Institute Quarterly Economic Commentary, Vol 31, No.3: (2007). Cuthbert, J.R., Cuthbert, M.: "Fundamental Flaws in the Current Cost Regulatory Capital Value Method of Utility Pricing": Fraser of Allander Institute Quarterly Economic Commentary, Vol 31, No.3: (2007). Cuthbert, J.R., Cuthbert, M.: "Mismanagement: The Need for Change": Scots Independent, Special Edition, Spring 2007. Cuthbert, J.R., Cuthbert, M.: "An Open Letter on GERS": open letter to Wendy Alexander, M.S.P., dated 24 March 2007. Cuthbert, J.R., Cuthbert, M.: "Time to Stop the Abuse of GERS" : Scots Independent, April 1st 2007. Cuthbert, M., Cuthbert, J.R.: "Government Expenditure and Revenues in Scotland (GERS)": Powerpoint presentation of seminar given at University of Edinburgh, Centre for Public Health Policy, 23rd April, 2007. Cuthbert, J.R., Cuthbert, M. : "Overcharging for Water: Fundamental Flaws in Utility Pricing in the UK": Powerpoint presentation of seminar given at University of Edinburgh, Centre for Public Health Policy, 30th April, 2007. Cuthbert, M., Cuthbert, J.R.: "Child Poverty in the Midst of Plenty: the Failure of Labour and the Union. ": Scots Independent: May 1st, 2007. Cuthbert, J.R.: "Keeping the Natives in Line": paper published as "The Will of the Establishment", Scottish Left Review, Issue no. 40, May/June 2007: also click here to see text of letter from Colonel Carter of Scotland Yard to General Diarmuid O'Hegarty. Cuthbert, M., Cuthbert, J.R.: "Free Personal Care for the Elderly: the Monitoring of the Cost of the Policy": Scottish Affairs, Issue no 59, Spring 2007. Cuthbert, J.R., Cuthbert, M.: "Blair's Unspoken Legacy: The End of the Union": Scots Independent, Issue 940, June 1st, 2007. Cuthbert, M., Cuthbert, J.R.: "'Boyd Loophole' Strengthens Scotland's Case in Attendance Allowance Dispute": Scotsman, June 25, 2007. Cuthbert, J.R., Cuthbert, M.: "How Scotland will be Disadvantaged in the Longer Term by Recent Changes in Government Accounting for European Structural Funds": Fraser of Allander Institute Quarterly Economic Commentary, Vol 31, No.4: (July 2007). Cuthbert, M., Cuthbert, J.R.: "How Public Contracts Could Help the Economy": Scots Independent, Issue 941, July 1st, 2007. Cuthbert, J.R., Cuthbert, M.:"A New Twist to an Old Scandal: How Recent Changes in Government Accounting for European Structural Funds Mean that Scotland will Lose Out": Scots Independent, Issue 942, August 1st, 2007. Cuthbert, M., Cuthbert, J.R.: "The Lottery: Time to Grasp a Big Opportunity": Scots Independent, Issue 943, September 1st, 2007. Cuthbert, J.R., Cuthbert, M.: "A Rejoinder to Jo Armstrong's Critique of Our Paper on Utility Pricing": September 2007: published on Fraser of Allander Institute website. Cuthbert, J.R.: "The Fundamental Flaw in PFI? The Implications of Inappropriate Indexation of that Element of the Unitary Charge Covering Finance Costs": this paper will be published shortly by the STUC. Cuthbert, J.R., Cuthbert, M.: "PFI: The Need for an Urgent Enquiry": Scots Independent, Issue 944, October 1st, 2007. Cuthbert, M., Cuthbert, J.R.: "Scottish Water Solutions: is this what we want from a Public Corporation? ": Scots Independent, Issue 945, November 1st, 2007. Cuthbert, J.R., Cuthbert, M.: " Lifting the Lid on PFI": Scottish Left Review, Issue 43, November/December 2007. Cuthbert, J.R.: "Rejoinder to Partnerships UK on their Comments on the Paper 'The Fundamental Flaw in PFI? '": December 2007. Cuthbert, J.R., Cuthbert, M.: "Neo-Liberalism: Challenge and Opportunity for Scotland": Scots Independent, Issue 946, December, 2007. Cuthbert, M., Cuthbert, J.R.: "Making it Happen on Child Poverty": Scots Independent, Issue 947, January 2008. Cuthbert, J.R.: "The Need to Review the ONS Approach to Including PFI Liabilities in the Public Sector Net Debt": paper SESCG2008/1/1, discussed at Scottish Economic Statistics Consultants' Group, January 9th 2008. Cuthbert, J.R., Cuthbert, M.: "No to Water Privatisation": Scots Independent, Issue 948, February, 2008. Cuthbert, J.R., Cuthbert, M.: "The Implications of Evidence Released Through Freedom of Information on the Projected Returns from the New Royal Infirmary of Edinburgh and Certain Other PFI Schemes. ": paper given as evidence to the Finance Committee of the Scottish Parliament, in connection with their inquiry into the methods of funding capital investment projects: paper also available on Finance Committee website, (March 2008). Cuthbert, M., Cuthbert, J.R.: "The Royal Edinburgh Infirmary: A Case Study on the Workings of the Private Finance Initiative": paper given as evidence to the Finance Committee of the Scottish Parliament, in connection with their inquiry into the methods of funding capital investment projects: paper also available on Finance Committee website, (March 2008). Cuthbert, J.R., Cuthbert, M.: "The Scottish Futures Trust: What we should be looking out for": Scots Independent, Issue 950, April, 2008. Cuthbert, J.R., Cuthbert, M.: Response to Scottish Government Consultation on Scottish Futures Trust: also available on Scottish Government website: submitted March 2008. Cuthbert, J.R., Cuthbert, M.: "Wendy's Threat to the Powers of Holyrood" : Scots Independent, Issue 951, May, 2008. Cuthbert, J.R.: "Beware of the Deal": (throws new light on possible British attempt to influence Michael Collins): Scottish Left Review, Issue 46, May/June 2008: also click here to see text of secret report from Thomas Markham to Michael Collins. Cuthbert, J.R., Cuthbert, M.: "The Capital Charge: Problems Arising from the Misapplication of Current Cost Accounting": paper given as evidence to the Finance Committee of the Scottish Parliament, in connection with their inquiry into the methods of funding capital investment projects: paper also available on Finance Committee website, (May 2008). Cuthbert, M., Cuthbert, J.R.: "PFI - Refinancing": paper given as evidence to the Finance Committee of the Scottish Parliament, in connection with their inquiry into the methods of funding capital investment projects: paper also available on Finance Committee website, (May 2008). Cuthbert, J.R., Cuthbert, M.: "Time for Independence - for H. M. Treasury": Scots Independent, Issue 953, July, 2008. Cuthbert, M., Cuthbert, J.R.: "Opening up the books on the true state of Scottish finances": Sunday Herald, 22nd June, 2008. Cuthbert, M., Cuthbert, J.R.: "Glasgow Games on a Shoe String": Scots Independent, Issue 954, August, 2008. Cuthbert, J.R., Cuthbert, M.: "A Question of Motivation": Scots Independent, Issue 955, September, 2008. Cuthbert, J.R., Cuthbert, M.: "Analysis of the Financial Projections for Two Non-Profit Distributing PFI Schemes: and Implications": paper submitted to the Finance Committee of the Scottish Parliament, in connection with their inquiry into the methods of funding capital investment projects: paper also available on Finance Committee website, (September 2008). Cuthbert, J.R., Cuthbert, M.: "An Opportunity Waiting to be Grasped": (proposes a new approach to setting water charges): Scots Independent, Issue 956, October, 2008. Cuthbert, J.R., Cuthbert, M.: "Lessons to be Drawn from London's Failure": Scots Independent, Issue 957, November, 2008. Cuthbert, M., Cuthbert, J.R.: "Yes We Can": (looks at practical steps open to Scottish Government in current economic crisis): Scots Independent, Issue 958, December, 2008. Cuthbert, J.R., Cuthbert, M.: "Suddenly the Euro Becomes an Issue Again": Scots Independent, Issue 959, January, 2009. Cuthbert, J.R., Cuthbert, M.: "New Forth Crossing Exposes Flaws in the Devolution Settlement": Scots Independent, Issue 960, February, 2009. Cuthbert, J.R., Cuthbert, M.: "A Recommendation on How the Method of Setting Water Charges in Scotland Should be Changed: Customer Financed Capital as a Notional Loan to the Utility": Fraser of Allander Economic Commentary, Vol. 32, No.3, February, 2009. Cuthbert, J.R., Cuthbert, M.: "The Need to Change Water Pricing in Scotland": Sunday Herald, 1st March, 2009. Cuthbert, J.R., Cuthbert, M.: "How the Universities see the Way Ahead": Scots Independent, Issue 961, March, 2009. Cuthbert, J.R., Cuthbert, M.: "Great British Economic Myths: 1": Scots Independent, Issue 963, May, 2009. Cuthbert, J.R.: "A Comment on Martin Kellaway's response to Paper SESCG 2008/1/1": note dealing with PFI accounting, discussed at Scottish Economic Statistics Consultants Group, 7 May 2009. The ONS paper to which this is a response can be accessed here. Cuthbert, J.R.: "Review: After the Troubles: Republicanism, Socialism and Partition": Scottish Left Review, Issue 52, May 2009. Cuthbert, J.R., Cuthbert, M.: "Great British Economic Myths: 2": Scots Independent, Issue 964, June, 2009. Cuthbert, J.R.: "Perverse Incentive Effect of the Calman Income Tax Proposals": note sent to Scottish Government, June 2009. Cuthbert, M., Cuthbert, J.R.: "How the Coming Universities' Funding Crisis Poses Tough Decisions for Scottish Government": Scots Independent, Issue 965, July, 2009. Cuthbert, J.R., Cuthbert, M.: "Open Letter to the Calman Commission: Technical Failings in the Calman Proposals on Income Tax": open letter sent to Calman Commission secretariat, 16th July 2009. Cuthbert, J.R., Cuthbert, M.: "How Calman's Income Tax Proposals Set a Trap for Scotland": Scots Independent, Issue 966, August, 2009. Cuthbert, J.R., Cuthbert, M.: "French and German Recovery: What Does this Say about the Euro? ": Scots Independent, Issue 967, September, 2009. Cuthbert, J.R.: "Do Official Statistics Provide an Adequate Basis for the Debate about the UK Economy? ": Invited talk given at Royal Statistical Society Conference, Edinburgh, 11 September 2009. Cuthbert, M.: "Do Official Statistics Provide an Adequate Basis for Debate about Scottish Independence: or, indeed, about the process of devolution." Invited talk given at Royal Statistical Society Conference, Edinburgh, 11 September 2009. Cuthbert, J.R., Cuthbert, M.: "Submission of Written Evidence to House of Lords Economic Affairs Committee: Inquiry into Private Finance Projects and Off-balance Sheet Debt": submitted 21st September 2009. Cuthbert, J.R., "Implicit Data Structures, and Properties of Selected Additive Indices": Chapter 7 in the book "Purchasing Power Parities of Currencies: Recent Advances in Methods and Applications", edited by Professor Prasada Rao, published by Edward Elgar, September 2009. Cuthbert, M., Cuthbert, J.R.: "Bausch and Lomb Highlights Weakness in Present System": Scots Independent, Issue 968, October, 2009. Cuthbert, J.R., Cuthbert, M.: "The Danger to Scotland's Water from Flawed Utility Pricing": article published in Julie Hepburn's blog "destiNation", October 2009. Cuthbert, J.R., Cuthbert, M.: "SNP Economic Strategy: Neo-liberalism with a Heart": Chapter 9 in the book "The Modern SNP: From Protest to Power", edited by Gerry Hassan, published by Edinburgh University Press, October 2009. Cuthbert, J.R., Cuthbert, M.: correspondence with Scotland Office about Calman tax proposals: October 2009. Cuthbert, J.R., Cuthbert, M.: "Now's the Time - To Advance our Thinking on Economic Strategy": Scots Independent, Issue 969, November, 2009. Cuthbert, J.R., Cuthbert, M.: "Briefing Note on Water Pricing for Holyrood Magazine": November, 2009. Cuthbert, J.R., Cuthbert, M.: "Time to De-mythologise Government Accounts": Scots Independent, Issue 970, December 2009. Cuthbert, J.R., Cuthbert, M.: "Calman White Paper Makes Things Worse on Tax": Scots Independent, Issue 971, January, 2010. Cuthbert, M., Cuthbert, J.R.: "Failure to Learn the Lessons of PFI": paper published as "Re-inventing a Faulty Wheel" in Scottish Left Review, Issue 56, Jan/Feb 2010. Cuthbert, M., Cuthbert, J.R.: "Free Personal Care: What Lessons can be Drawn for England from the Scottish Experience": Public Finance, 22nd January 2010. Cuthbert, M., Cuthbert, J.R.: "How to Use Tax Policies Effectively: Lessons from Abroad": Scots Independent, Issue 972, February, 2010. Cuthbert, J.R., Cuthbert, M.: "Issues on Calman Tax Proposals Still Unresolved": Fraser of Allander Economic Commentary, Vol 33, No. 3, February 2010. Cuthbert, J.R., Cuthbert, M.: "Murphy's £75 billion Claim Leaves a Bad Taste" : Scots Independent, Issue 973, March, 2010. Cuthbert, J.R., Cuthbert, M.: "The Handling of PFI Leasing Charges in Government Accounts: The Implications of Information on How PFI Schemes Actually Behave": Seminar given at University of Strathclyde, Department of Accounting, 5th March 2010. Cuthbert, J.R., Cuthbert, M.: "The Fiscal Trap": Public Finance, 11th March 2010. Cuthbert, M., Cuthbert, J.R.: “Yet Another Alarmist Report”: Scots Independent, Issue 974, April 2010. Cuthbert, J.R., Cuthbert, M.: “The importance of correcting the errors in the current model for water pricing in Scotland, before decisions are taken on alternative ownership models for Scottish Water.” Submission to Independent Budget Review, April 2010. Cuthbert, M., Cuthbert, J.R.: “The need to maximise the economic benefits of the activities of Scottish Water.” Submission to Independent Budget Review, April 2010. Cuthbert, J.R., Cuthbert, M.: “Response to the second question on the consultation paper, relating to question 1 in the referendum.” Response to Scottish Government consultation on draft Referendum (Scotland) Bill: April 2010. Cuthbert, J.R., Cuthbert, M.: “Scotland and the UK National Debt: Further issues arising from the CPPR report”: Scots Independent, Issue 975, May 2010. Cuthbert, J.R., Cuthbert, M.: “How to have your cake and eat it: Government accounting for PFI”: Scottish Left Review, Issue 58, May 2010. Cuthbert, J.R., Cuthbert, M.:"Welsh Exercise on Needs Sets a Trap for Scotland": Scots Independent, Issue 976, June 2010. Cuthbert, J.R., Cuthbert, M.:"The Osborne Budget: Implications for Scotland": Scots Independent, Issue 977, July 2010. Cuthbert, M., Cuthbert, J.R.:"Using Public Expenditure to Help the Scottish Economy": Scots Independent, Issue 978, August 2010. Cuthbert, J. R., Cuthbert, M.: “What the Beveridge Review Neglected.” Published as “Forget Beveridge: Put Scotland First on the Economy”, Sunday Herald, 15 August 2010. Cuthbert, J. R., Cuthbert, M.: “Beveridge and Water: the worst deal ever.” Scots Independent, Issue 979, September 2010. Cuthbert, M., Cuthbert, J. R.: “How more needs to be done so that central and local government procurement helps the Scottish Economy.” Scots Independent, Issue 980, October 2010. Cuthbert, M., Cuthbert, J. R.: “The Royal Infirmary of Edinburgh: a case study on the workings of the Private Finance Initiative.” Public Money and Management, Volume 30, Number 6, November 2010. Cuthbert, J. R., “Time to Move Beyond GERS: An Approach to Estimating Flows of Private Finance for the Scottish Economy.” Paper SESCG 2010/1/2 discussed at Scottish Economic Statistics Consultants’ Group, at meeting on 18 October 2010. Cuthbert, J. R., Cuthbert, M.: “Holtham Misrepresents our Position on Welsh Needs Exercise.” Scots Independent, Issue 981, November 2010. Cuthbert, J. R., Cuthbert, M.: “Procurement – From Complexities to Opportunity.” Powerpoint presentation of talk given at Scottish Construction Forum, 9 November 2010. Cuthbert, J. R., “The Concept of the Reference Node Invariance Threshold.” Paper submitted as evidence to OFGEM TransmiT Review, and also available on Project TransmiT Web Forum: November 2010. Cuthbert, J. R., “Why the Current Cost Charging Method Used in the NG Transmission Model Needs to be Reviewed.” Paper submitted as evidence to OFGEM TransmiT Review, and also available on Project TransmiT Web Forum: November 2010. Cuthbert, J. R., Cuthbert, M.: “The Budget: Issues and Challenges.” Scots Independent, Issue 982, December 2010. Cuthbert, J. R., Cuthbert, M.: “Flawed Scotland Bill Tax Proposals – A Trap for Labour.” Paper published on Scottish Left Review website, December 2010, and also in printed edition of Scottish Left Review Issue number 62. Cuthbert, J. R., Cuthbert, M.: “Not Out of the Woods Yet on Banking Crisis.” Scots Independent, Issue 983, January 2011. Cuthbert, M., Cuthbert, J. R.: "Inflation and the Private Finance Initiative.” Public Finance, (blog section), 28 January 2011. Cuthbert, J. R., Cuthbert, M.: “Scottish Parliament Committees: The Need for Reform.” Scots Independent, Issue 984, February 2011. Cuthbert, M., Cuthbert, J. R.: “Opportunities for Scotland in Higher Education Funding.” Scots Independent, Issue 985, March 2011. Cuthbert, M., Cuthbert, J. R: “The Effect of PFI Commitments on Local Authority Finances.” Fraser of Allander Economic Commentary, Volume 34, No.3, March 2011. Cuthbert, J. R., Cuthbert, M.: “Wendy’s Committee Fails Scotland Badly.” Scottish Left Review Issue 63, March 2011. Cuthbert, J. R.: “Why a Scottish Government, operating under Calman, will always raise more in tax for a given increase in tax rate than an independent or UK government facing the same Laffer curve.” Technical note referred to in the preceding paper. Cuthbert, J.R., Cuthbert, M.: “Self Delusion at Holyrood on Scotland Bill”: Scots Independent, Issue 986, April 2011. Cuthbert, J.R., Cuthbert, M.: “Breaking Out of the Sterile Westminster Approach”: Scots Independent, Issue 987, May 2011. Cuthbert, J.R., Cuthbert, M.: “Challenges and Opportunities”: published in two parts, in Scots Independent, Issues 989 and 990, July and August 2011. Cuthbert, M., Cuthbert, J.R.: “Administration of the Crown Estate in Scotland – A Case for Change”: published on Scottish Left Review website, 30th July 2011, and will appear in next printed edition of Scottish Left Review. Cuthbert, J.R., Cuthbert, M.: “The Sovereign Grant Bill: Bad for Scotland and Bad for the UK”: published on “Bella Caledonia” blog, 19 August 2011. Cuthbert, J.R.: “Commuters pay cost of rail capital pricing model”: Public Finance (blog section), 25th August 2011 . This note is supported by a worked example, which can be accessed in a technical note here. Cuthbert, J. R., Cuthbert M,: Evidence given to Scotland Bill Committee of Scottish Parliament, in preparation for appearance before committee on 13 September 2011. Cuthbert, M., Cuthbert, J. R.: “Why the Crown Estate in Scotland Needs to Come Back Under Scottish Management.” Scots Independent, Issue 991, September 2011. Cuthbert, J. R., Cuthbert M,: “An Appearance before the Scotland Bill Committee.” Scots Independent, Issue 992, October 2011. Cuthbert, J. R., Cuthbert M,: “The Importance of Nation.” Scottish Left Review, Issue 66, Autumn 2011. Cuthbert, J. R., Cuthbert M,: “GERS: Where now?” Chapter in the book “Scotland’s Economic Future” edited by Donald MacKay, published by Reform Scotland, October 2011. Cuthbert, J. R., Cuthbert M,: “The Sovereign Grant Bill: Time for us to act.” Scots Independent, Issue 993, November 2011. Cuthbert, J. R., Cuthbert M,: “The civil service response to our proposal for changing the pricing system for Scottish Water.” Fraser of Allander Economic Commentary, Volume 34, No.4, November 2011. Cuthbert J. R., Cuthbert M,: “Difficult Tactics for SNP on Referendum.” Scots Independent, Issue 994, December 2011. Cuthbert M., Cuthbert J. R.: “Unhealthy Consequences.” Public Finance, Blog Section, 8th December 2011. Cuthbert M., Cuthbert J. R.: “How the Proposed Changes in the NHS in England will have serious Repercussions for Scotland and Wales.” Scots Independent, Issue 995, January 2012. Cuthbert J. R., Cuthbert M,: “Two Cheers for latest proposals to revise Electricity Transmission Charges.” Scots Independent, Issue 996, February 2012. Cuthbert, Jim and Margaret: “Using our Buying Power to Benefit Scotland- the Case for Change.” Jimmy Reid Foundation Report, published 6 February 2012. Cuthbert, J. R.: “Project TransmiT: Response to 20/12/2011 Consultation.” Response to OFGEM’s Project TransmiT consultation, February 2012. Cuthbert, M., Cuthbert, J. R.: “How We Can Get Government Spending to Do More for Us: 1.” Scots Independent, Issue 997, March 2012. Cuthbert, J. R., Cuthbert, M.: “How to Have your Cake and Eat it: Government Accounting for PFI.” World Economics, Vol 13, No.1, January-March 2012. Cuthbert, J. R., Cuthbert, M.: “How We Can Get Government Spending to Do More for Us: 2.” Scots Independent, Issue 998, April 2012. Cuthbert, M., Cuthbert, J. R.: “TIF: Is the Finance Tail Wagging the Dog?” Scots Independent, Issue 999, May 2012. Jim and Margaret Cuthbert: “Public Procurement Problems”: Scottish Policy Now online magazine: Issue 3, July 2012. Cuthbert, J.R., Cuthbert, M.: “Patronising and Misguided”: Scots Independent, Issue 1000, June 2012. Cuthbert, J.R., Cuthbert, M.: “Jubilee Celebrations Expose the Bankruptcy of the Union”: Scots Independent, Issue 1001, July 2012. Cuthbert, M., Cuthbert, J. R.: “Just Who Is It We Are Paying Our PFI Money to? ”: Scots Independent, Issue 1002, August 2012. Cuthbert, J. R.: “Excessive Profits and Overcharging: Multiple Errors in the UK’s Model for Setting Utility Prices”: Jimmy Reid Foundation Paper, August 2012. Cuthbert, J. R., Cuthbert, M.: Evidence submitted to Water Resources Bill Consultation of Scottish Parliament Infrastructure and Capital Investment Committeee: 29 August 2012. Cuthbert, J.R., Cuthbert, M.: “Why IRR is an Inadequate Indicator of Costs and Returns in Relation to PFI Schemes.” Critical Perspectives on Accounting: Vol. 23, Issue 6, pp 420-433, September 2012. Cuthbert, J. R., Cuthbert, M.: “Cheating on the Referendum: the UK Government’s Decision to postpone the Comprehensive Spending Review”: Scots Independent, Issue 1003, September 2012. Cuthbert, J. R.: “ “A share of Imperial burdens”: hypocrisy then and now.” Scottish Left Review, Issue 72. A copy of the letter from Lloyd George to Sir James Craig, referred to in the article, can also be downloaded here. Cuthbert, M., Cuthbert, J. R.: “Need to Clarify Royal Powers”: published in two parts in Scots Independent, Issues 1004 and 1005, September and October, 2012. Cuthbert, J. R.: Response to Scottish Government’s Procurement Reform Bill Consultation: November 2012. Cuthbert, M.: Response to Scottish Government’s Procurement Reform Bill Consultation: November 2012. Cuthbert, J.R., Cuthbert, M.: “Critical Errors of Judgement Affecting the Referendum, worsened by the Salmond-Cameron accord”: published on “Bella Caledonia” blog, 16 November 2012. Cuthbert, M., Cuthbert, J. R.: “Who Owns Our PFI Schemes: And Why It Matters”: Scottish Left Review, Issue 74, January/February, 2013. Supporting tables can be accessed here. Cuthbert, M., Cuthbert, J. R.: “Paying for Higher Education”: published on “Bella Caledonia” blog, February 2013. Cuthbert, J.R., Cuthbert, M.: “You are absolutely wrong on the structural funds, Mr. Moore”: published on “Bella Caledonia” blog, April 2013. Cuthbert, J.R.: “The Mismanagement of Britain: A Record of the UK’s Declining Competitiveness, and Why it Matters”: report published by the Jimmy Reid Foundation, 15th April 2013. Cuthbert, J.R., Cuthbert, M.: “Is there a Road for Scotland Towards Fundamental Improvements in Society?”; Chapter 6 in book “Time to Choose”, edited by Gregor Gall, Scottish Left Review Press, May 2013. Cuthbert, M.: “The UK Economy: a strong and secure UK?”: paper published as "The Dysfunctional UK Economy" by Jimmy Reid Foundation, May 2013. Cuthbert, J.R., Cuthbert, M.: “Enlisting Government to the Common Weal”: published on Bella Caledonia blog, May 2013. Cuthbert, J.R., Cuthbert, M.: “Surprising Superficiality of the Debate so Far”: Sunday Herald, 26 May 2013. Cuthbert, J.R., Cuthbert, M.: "Economic Policy Options for an Independent Scotland": report published jointly by Options for Scotland and the Jimmy Reid Foundation, 9 September, 2013. Cuthbert, J.R., Cuthbert, M.: “How the very method used by IFS intrinsically biases the debate on Scottish independence”: Sunday Herald, 24 November 2013. Cuthbert, J.R.: “Limitations on what can be expected from an Independent Financial Scrutiny body”: paper given as evidence to Finance Committee, before meeting on 27 November 2013. Cuthbert, J.R., Cuthbert, M.: “Report card on White Paper”: published on Open Democracy blog, 28 November 2013. Cuthbert, J.R., Cuthbert, M.: “Issues surrounding the sharing of UK debt post independence”: paper published by Jimmy Reid Foundation, January 2014. Cuthbert, J.R.: “Charging for Utilities, and Energy Infrastructure: How taking a cohort perspective strengthens the case against current cost charging”: Jimmy Reid Foundation Paper, January 2014. Written evidence submitted to Inquiry by Scottish Parliament Economy, Energy and Tourism Committee: January 2014. Cuthbert, Jim and Margaret: “Referendum Debate and Opportunity to Clarify Powers of Head of State”: published as “Hidden Crowns” in Scottish Left Review, Issue 81, March/April 2014. Cuthbert, J.R., Cuthbert, M.: written evidence submitted to Scottish Parliament Finance Committee, before appearance to give oral evidence on 30 April 2014, in relation to its inquiry on Scotland’s public finances post 2014. Cuthbert, J.R.: “Note on calculation of Scotland’s notional cumulative fiscal balance, assuming it had become independent in 1980”: note, and supporting spreadsheet, submitted to Finance Committee, following appearance before Committee on 30 April 2014: 5 May 2014. Cuthbert, J.R.: “How serious a threat is the UK’s financialised economy?”: paper published by the Jimmy Reid Foundation, June 2014. Cuthbert, J.R.: “UK financial system at risk of systemic crisis”: published in “Bella Caledonia”, July 2nd 2014. Cuthbert, M., Cuthbert, J.R.: “The Mindset of a Colony”: published in “Bella Caledonia”, July 9th 2014. Cuthbert, J.R., Cuthbert, M.: “The Medium is Very Much the Message”: this is the pre-peer reviewed version of the following article “Shaping things to come: how decisions on statistical disclosure and analysis influenced the debate on Scotland’s independence”, published in “Significance”, July 2014, volume 11, issue 3. Cuthbert, J.R., Cuthbert, M.: "The Treasury’s Union Dividend: Flawed and Meaningless": published by “Options for Scotland”, 13th August 2014. Cuthbert, J. R. Cuthbert, M: “Whitehall bias and underperformance”: published on Newsnet Scotland 21 August 2014. Cuthbert, J. R. Cuthbert, M: “How decisions on data and analysis have biased the referendum debate”: published on Bella Caledonia, 26 August 2014. Cuthbert, J. R. Cuthbert, M: “Treasury’s Union Dividend Deeply Flawed”: to be published by “Academics for Yes, Scotland”, 2014. Cuthbert, J. R. Cuthbert, M: “UK Benefits Crisis”: published on Bella Caledonia, 8 September 2014. Cuthbert, J. R. Cuthbert, M: “Farage’s Attempt to Square the Circle Won’t Work”: published on Bella Caledonia, 10 September 2014. Cuthbert, J. R. Cuthbert, M: “The IFS “observation” on funding Scotland’s NHS ignores the key risk to the NHS within the UK”: published on Bella Caledonia, 12 September 2014. Cuthbert, J. R., Cuthbert, M.: “BBC repeats error – that the English subsidise Scotland”: published on Bella Caledonia, 8 October 2014. Cuthbert, J. R., Cuthbert, M.: “BBC Round 2: It turns out Peston missed out the oil”: published on Bella Caledonia, 26 October 2014. Cuthbert, J. R., Cuthbert, M.: “Submission to the Smith Commission regarding increased powers for the Scottish Parliament, from the Jimmy Reid Foundation”: 28 October 2014. Cuthbert, M., Cuthbert J. R.: “Buying Power”: published on Bella Caledonia, 4 November 2014. Cuthbert, J. R., Cuthbert, M.: “Responsibility without Power: no way to run Scotland in the Union”: published on Bella Caledonia, 8 November 2014. Cuthbert, J.R.: “Need to hold the establishment to account”: to be published in Scottish Left Review, Issue 84, November 2014. Cuthbert, J. R., Cuthbert, M.: “Smith fatally flawed by inadequate attention to detail”: published on Bella Caledonia, 4 December 2014. Cuthbert, J. R., Cuthbert, M.: “Give us meat, not metaphor”: published on Bella Caledonia, 12 December 2014. Cuthbert, J. R., Cuthbert, M.: “Risks”: published in Holyrood Magazine, 19 January 2015. Cuthbert, J. R., Cuthbert, M.: “Pivotal Failure in Cameron’s Proposals on Smith”: published on Bella Caledonia, 25 January 2015. Cuthbert, M., Cuthbert, J. R.: “The Power of Supermarkets over the UK Supply Chain”: published on Bella Caledonia, 4 March 2015. Cuthbert, J. R., Cuthbert, M.: “Satisfactory Implementation of Smith Impossible Without Full Federalism”: published in Scots Independent, March 2015. Cuthbert, J. R.: “Scotland’s Fiscal Framework: Finance Committee Call for Evidence on Smith Commission Implementation”: evidence submitted to Finance Committee on behalf of Jimmy Reid Foundation. Cuthbert, J. R., Cuthbert, M.: “Poverty and Education: Some Relevant Context which will Affect Policy”: paper presented to EIS Equality Committee, 17 March 2015. Cuthbert, M: “ A Note on Business Statistics, Scotland”: paper for meeting of Scottish Economic Statistics Consultative Group on 24 March 2015. Cuthbert, J. R.: “The effect of relative population growth on the Barnett Formula”: paper submitted to Finance Committee, after giving evidence to Committee on 22 April. Cuthbert, J. R., Cuthbert, M.: “More Nonsense from the BBC”: published on Bella Caledonia, 3rd May 2015. Cuthbert, M., Cuthbert, J. R.: “Trade Promotion – another area for our new MPs to attend to”: published on Bella Caledonia, 13 May 2015. Cuthbert, J. R., Cuthbert, M.: “Smith Commission – Why the economic and fiscal arrangements need to be changed”: published by the Jimmy Reid Foundation, 26 May 2015. Cuthbert, J. R.: “The Barnett formula under the Smith reforms”: Fraser of Allander Institute Economic Commentary, Vol (39)1, June 2015. Cuthbert, J. R.: “Barnett after Smith: Not a Good Outlook”: published on Bella Caledonia, 26 June 2015.
served on international trade and development?”: Published in Scottish Left Review: Issue 88, July/August 2015. Cuthbert, J. R.: “Notes on Scottish Fiscal Commission”: notes sent to Ian Lienert , consultant producing report for Scottish Parliament, before meeting on 25 August 2015. Cuthbert, J. R.: “Written Evidence to the House of Lords Select Committee on Economic Affairs: The devolution of public finances in the United Kingdom”: written evidence submitted before giving oral evidence to Committee on 9th September. Cuthbert, M: “Written Evidence to the House of Lords Select Committee on Economic Affairs: The devolution of public finances in the United Kingdom”: written evidence submitted before giving oral evidence to Committee on 9th September. Cuthbert, M: “Growing the Scottish Economy: Is Scotland well served on international trade and development”: Jimmy Reid Foundation paper, published September 2015. Cuthbert, J. R.: “Modelling Scotland’s Fiscal Settlement”: Note submitted to House of Lords Economic Affairs Committee following evidence session on 9th September. Jim and Margaret Cuthbert: “Who was Right in the Andrew Neil Scottish Budget Row”: published in Bella Caledonia, 26 October, 2015. Cuthbert, J. R.: “Scottish Fiscal Commission Bill: Written Evidence to Finance Committee”: evidence submitted before appearing at Committee on 4th November. Cuthbert, M., Cuthbert, J. R: “Modern Apprenticeships in Scotland”: published in Scottish Left Review, Issue 90, Nov/Dec 2015. Cuthbert, J. R.: “Time to Get Ready for the Second Biggest Decision in 300 Years”: published in Bella Caledonia, 16 November, 2015. Cuthbert, J. R.: “IFS report provides inadequate basis for fiscal settlement negotiations”: published as Jimmy Reid Foundation Working Paper No. 1, 2015: 11 December 2015. Cuthbert, J. R.: “Fiscal Settlement Options”: part of presentation given at seminar on Fiscal Framework for Scotland, Nuffield College, Oxford, 15 December 2015. Cuthbert, J. R.: “Fiscal Settlement: Flawed IFS Report Bad News for Scotland”: Published in Bella Caledonia, 27th December 2015. Cuthbert, J. R.: “Crucial importance of the Smith fiscal settlement”: published in the Scots Independent, Issue no 1043, January 2016. Cuthbert, J. R.: “Dangers posed by imminent fiscal trap”: published in Scottish Left Review, Issue 91: January/February 2016. Cuthbert, J. R.: “Adjusting the Scottish government’s block grant: Taking a wider perspective”: Jimmy Reid Foundation Policy paper, published January 25, 2016. Cuthbert, J. R.: “Will a disastrous fiscal settlement be the end for John Swinney?”: published in Bella Caledonia, 7 February 2016. Cuthbert, J. R.: “How Henry Ford’s Maxim Applies in Scotland: The difficult path to social change in a neo-liberal world”: published as “Henry Ford in Scotland: the difficult path to social change”, in “Is there a Scottish Road to Socialism, 3rd Edition”, ed. G. Gall, Scottish Left Review Press, February 2016. Cuthbert, M: “Searching for social justice: managing the Scottish economy”: published in “Is there a Scottish Road to Socialism, 3rd Edition”, ed. G. Gall, Scottish Left Review Press, February 2016. Cuthbert, J. R.: “Treasury attitude highlights another flaw in the fiscal settlement”: published in Bella Caledonia, 24 February 2016. Cuthbert, J. R.: “Flawed process leads to a damaging deal”: published in Scottish Left Review, Issue 92: March/April 2016. Cuthbert, M.: “Transatlantic Trade and Investment Partnership”: published in the National, April 2016. Cuthbert, J. R.: “PFI/NPD: How to avoid future problems.” Talk given at Commonweal meeting on PFI: Quaker Meeting Room, Edinburgh, 3 May 2016: text of talk also available on Commonspace website. Cuthbert, M.: “Bundling or Bungling: the procurement of our public sector infrastructure through the Private Finance Initiative (PFI), and its subsequent reincarnations in Scotland”: Talk given at Commonweal meeting on PFI: Quaker Meeting Room, Edinburgh, 3 May 2016: text of talk also available on Commonspace website. Cuthbert, J. R.: “The data requirements of devolution finance: how these will impact on the central departments”: paper for Scottish Economic Statistics Consultative Group meeting, 19th May 2016. Cuthbert, J. R., Cuthbert, M.: “PFI/NPD: Issues and Data Sources”: Note produced for Commonspace, June 2016. Cuthbert, M.: “How an interview might have gone with the new Minister for the economy”: Commonspace, 14 and 16 June 2016. Cuthbert, M.: “Why we need to face up to our economic weaknesses urgently”: Commonspace, 24 June. Cuthbert, J. R.: “Scotland’s Last Fantasy Election?”: Scottish Left Review”, Issue 93 June 2016. Cuthbert, J. R.: “Response to GERs consultation”: Response to Scottish Government consultation on the future of GERS, 6 July 2016. Cuthbert, J. R., Magni, C. A.: “Measuring the inadequacy of IRR in PFI schemes using profitability index and AIRR”: International Journal of Production Economics, Volume 179, pp130-140, September 2016. Cuthbert, M.: “Scottish Government GERS and Brexit Reports: sifting through to try to get to the real state of affairs”: Commonspace, 26 August 2016. Cuthbert, J. R., “A fine dividend?”: Published on Commonspace, 29 8 2016. Cuthbert, J. R.: “Brexit and the Fiscal Settlement”: published on Fraser of Allander Institute Blog, 27 September 2016. Cuthbert, J. R., Cuthbert, M.: “Edinburgh Schools Fiasco Suggests another Flaw in the Logic of PFI”: published on Commonspace, 5 October 2016. Cuthbert, J. R.: “ Issue with Scottish Government Borrowing Powers in 2015/16 highlights need for greater openness – and scrutiny”: published on Commonspace, 18 October 2016. Cuthbert, J. R.: “Adjusting the Block Grant Abatement: the Algebra of CM and IPC”: Fraser of Allander Economic Commentary, vol 40, no. 3, December 2016. Cuthbert, J. R.: “The Prudential Code: flimsy fig leaf in the coming storm”: Jimmy Reid Foundation Policy paper, published December 2016. Cuthbert, J. R.: “Comments on Budget Scrutiny Consultation”: paper submitted on behalf of Jimmy Reid Foundation to the Scottish Parliament Budget Policy Review Group, before giving oral evidence on 30 March 2017. Cuthbert, J. R.: “Potential Dangers of Public Sector Investment in Hub Sub Debt”: Common Weal Policy Paper, April 2017. Cuthbert, J. R.: “Partitioning Transaction Vectors into Pure Investments”: accepted author version of paper published online in The Engineering Economist, 10 May 2017. Cuthbert, M.: “Public Procurement in Scotland: The Case for Scrutiny, Accountability and Transparency”: Common Weal Policy Paper, May 2017. Jim and Margaret Cuthbert: “Six Policies to Transform Britain’s Broken Economy”: published on Open Democracy, 5th June 2017. Jim and Margaret Cuthbert: “The SNP’s Economic Strategy: Economic Performance in a Changing Fiscal Context”: chapter in the book “A Nation Changed: The SNP and Scotland Ten Years On”: G.Hassan and S. Barrow, eds: Luath Press, July 2017. Cuthbert, M.: “Evidence to the Economy, Jobs and Fair Work Committee”: September 2017. Cuthbert, J. R.: “Implications of the Fiscal Settlement for the Requirement for Economic Data”: Evidence for the Economy, Jobs and Fair Work Committee: September 2017. Cuthbert, M., Cuthbert, J. R.: “Scotland's secret finances: How difficult it is to get to the bottom of how public money is spent”: Sunday Herald 17 September 2017. J. and M. Cuthbert: “Some Aspects of Scottish Futures Trust and Hub Activities”: Report commissioned by the Scottish Labour Party, published 18 October 2017. M. and J. Cuthbert: “The Mysterious Tale of Edinburgh Council and the Shoddy PFI Schools": Published on Commonspace, 14 December 2017. J. R Cuthbert: “‘To be consulted, to encourage, and to warn’: Brexit exposes failings of monarchical system”: Published on Commonspace, 10 January 2018. J. and M. Cuthbert: “Scottish Futures Trust Experience Illustrates Difficulties with Agencies”: Published in Scottish Left Review, Issue 103, 15th January 2018. Magni, C. A., Cuthbert, J. R.: “Some problems of the IRR in measuring investment performance, and how to solve these with the pure investment AIRR”: Journal of Performance Measurement, forthcoming. Posted online 18 February 2018: available online here. Cuthbert, J. R.: “Inter-generational equity and the strategic review of water charges in Scotland”: Fraser of Allander Economic Commentary, March 2018. Cuthbert, M.: “Enough of the fancy empty words: It’s time for a nuts and bolts tourism strategy”: Published on Commonspace, 21 March 2018. Cuthbert, J. R.: “Public Private Partnerships: a formula for excess profits and failure”: Commonweal Policy Paper, April 2018. Cuthbert, M.: “Ironic that SNP is batting off Cambridge Analytica probe when Scottish Government’s major weakness is data”: Sunday Herald 22 April 2018. Cuthbert, J. R.: “The report of the SNP’s Growth Commission: where is the urgency, and where is the radicalism.”: published in The National, 6 June 2018. Cuthbert, J. R.: “The Growth Commission: naively neo-liberal”: Scottish Left Review, Issue 106, July 2018.